Companies of all sizes and industries often toy with the idea of creating their own technological solutions, whether in the form of smaller one-off fixes or larger projects like complex software applications. 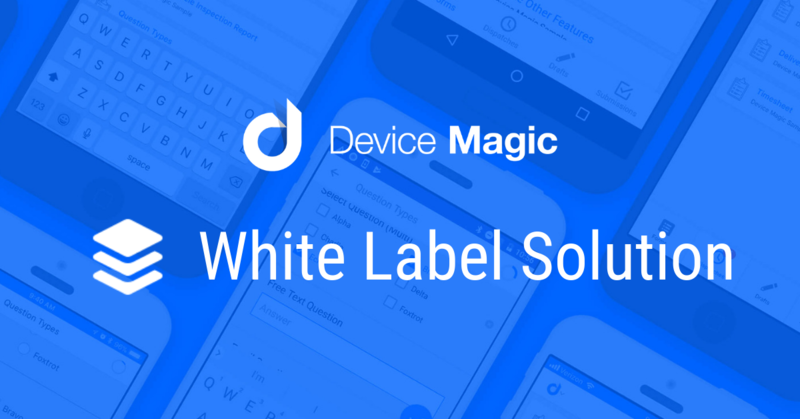 At Device Magic, we deal with customers weighing the decision to utilize a third-party app or devise their own data collection program on a day-to-day basis. To be blunt, unless you're a technology company, hiring external developer expertise just doesn’t make sense. After all, developing the app is only part of the requirement. 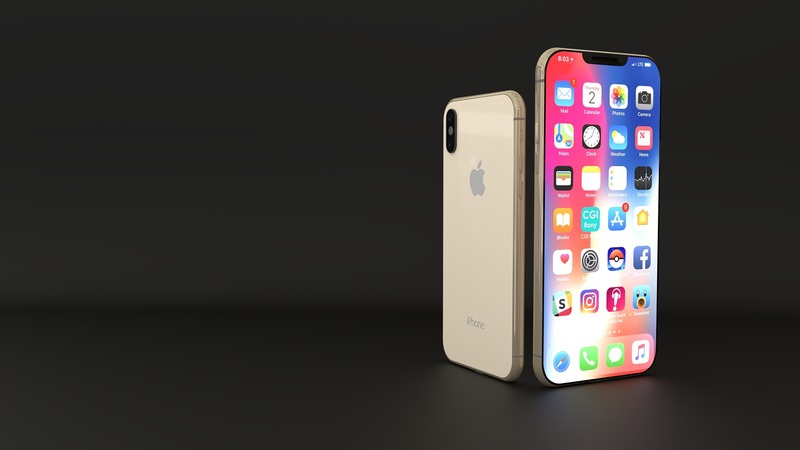 You also need to provide support and updates to keep up with the changes affecting your business, market and audience, let alone with those impacting devices themselves. Luckily, we offer an option that, in the words of many of our customers, unites the best of these two worlds: white label. For those unfamiliar with the white label concept, it involves adopting and customizing a third party’s application, program or product with the purchasing business’ own design, logo and overall branding. Read on to discover the ins and outs of our white label solution, how our customers have achieved higher rates of production and revenue through its adoption, and how to effectively implement it in your business. Supervise employees: As the supervisor, you need to check on employees to make sure they're following the schedule. From time to time, supervisors also have to work on union-related issues. Maintain safety standards: Construction work is dangerous. Supervisors need to make sure all staff members attend safety meetings and receive functional safety training. If a safety requirement is missed, employees may suffer, and the company’s reputation will take a hit. Work with the customer: Even the most understanding customers are going to have complaints occasionally. For example, a customer points out that construction noise on one floor is upsetting other tenants. A construction supervisor is often the first person to hear these complaints. Complete head office requirements: If the above wasn't enough, there are also forms and paperwork to be completed for the head office. 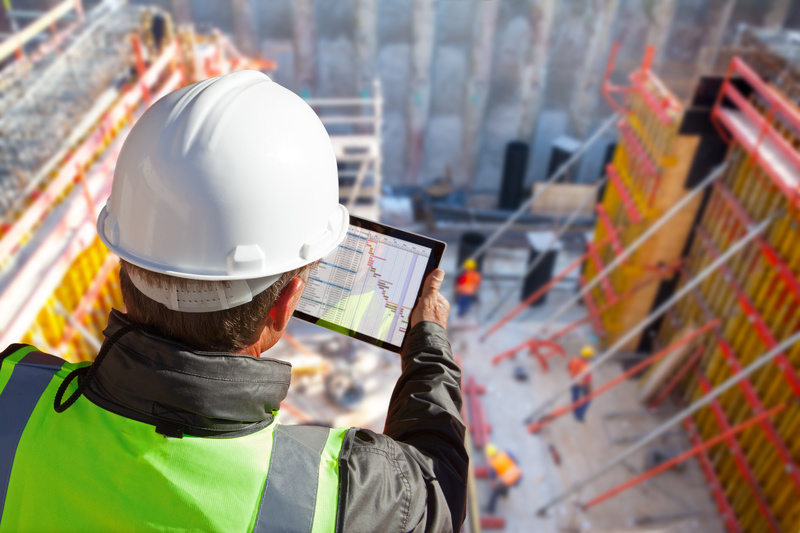 Compared to safety and employee issues, many supervisors see these forms as less important. Yet, those forms contain critical data for head office to detect problems and hit corporate goals. Device Magic and iAuditor both offer mobile apps that are changing how companies do business. This smart form-based technology is streamlining communications, automating data transfers, and increasing the efficiency of internal operations. In effect, the software is providing the advantages of digital forms that improve productivity, while also allowing staff to stay as mobile as if they were carrying around clipboards of paperwork. 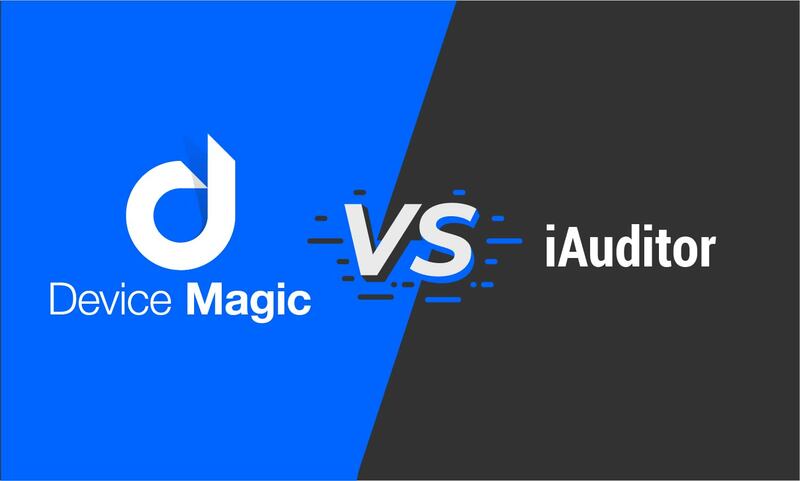 However, despite the similarities of Device Magic and iAuditor, some striking differences between the apps could dramatically affect how they could be implemented at your business. To help you decide which software is best for your business, let’s take a detailed look at the two apps and compare their usage, features, reviews, and more. Device Magic, a leading global provider of mobile forms and data collection software, announced today that it once again demonstrated consistent, significant growth in fiscal year 2018. While remaining organically funded, the company reports experiencing over 450% three-year recurring revenue growth. In addition, Device Magic is expanding and recently moved its headquarters into a new space in downtown Raleigh, North Carolina to accommodate planned growth.